A customer, explained Amy Gross, president of VineSleuth, will be able to walk up to a kiosk, tap the screen and say, “I want a wine for under $10 that goes well with salmon.” And in reply, the person is shown a list of suggested wines that meet the criteria. If a person registers, the recommendations can become personalized, based on tastes and purchase history. The Advisor allows consumers to easily share wine preferences in plain language to the kiosk, and receive a custom list of suggested wines based on food pairing, price range, and similarity to another wine and/or a specific flavor profile. VineSleuth technology already powers the free wine discovery app, Wine4.Me. 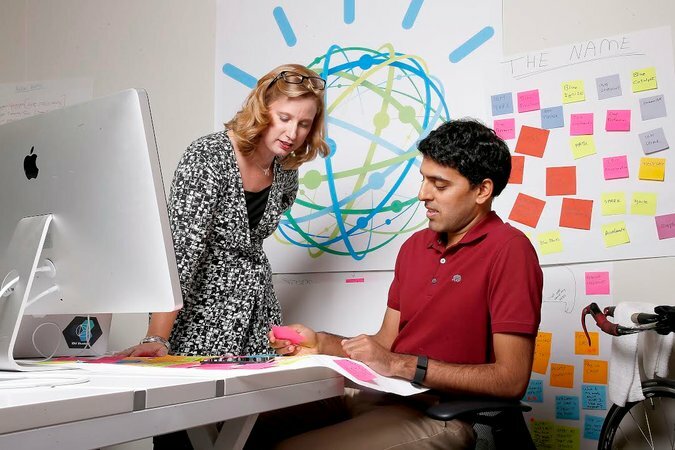 The IBM Watson partnership will add language capabilities and open the doors for partnership with retailers globally. Easier wine selection at the grocery store? We can toast to that!